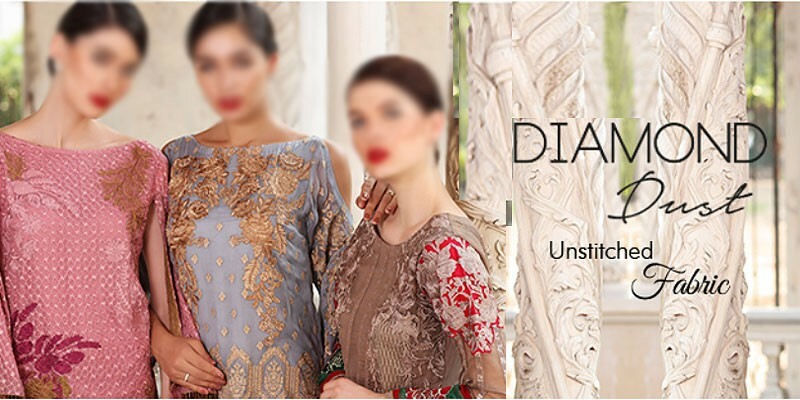 Charizma Diamond Dust Chiffon Collection Vol-01 2018 is their formal wear collection, released for the year of 2018. The collection features three-piece unstitched suits in alluring colors, with some of the most excellent embroideries you can spot anywhere. 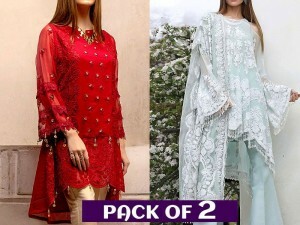 The suits are available in different combination of fabrics, including embroidered trousers, plain trousers, jacquard trousers, chiffon embroidered shirts, embroidered chiffon dupattas, net embroidered dupattas, and much more. 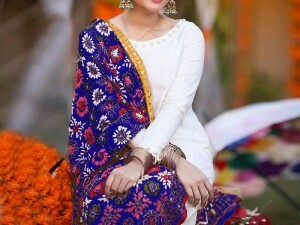 This chiffon collection by Charizma is reasonably priced, where each suit comes with a price tag of just Rs 8950. This gorgeous golden yellow colored suit is a masterpiece, featuring a pure chiffon shirt with jaal style embroidery around the neckline, plus top of the sleeves. It has more elaborate embroidery around the lower part of the shirt, where the white thread is used to create the beautiful floral patterns, and pearls are added for adornment. The suit has an embroidered chiffon dupatta that is embellished with sequins and the dress comes with a plain jacquard trouser. This stunning ladies dress has a cream colored net shirt, which is completely covered with detailed floral style embroidery. 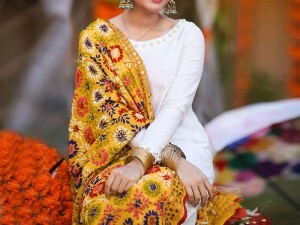 It has a lovely coral colored net dupatta, which features similar white color flowers as to that of the shirt. The shirt has some additions of coral-hued flowers, as to match the color of the dupatta and this suit comes with a cream toned, cotton tilla jacquard trouser that has a fine print. This embroidered dress features an eye-catching, fully embroidered tan colored shirt that is of good-quality chiffon fabric. It comes with embroidered chiffon sleeves, with a red embroidered motif for the top half of the sleeves, and a red embroidered piece for the front, plus the back of the shirt border. 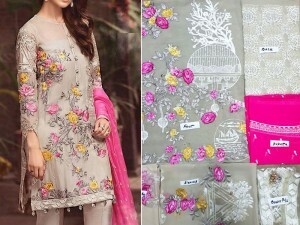 The suit has a tan colored printed chiffon dupatta, which has an embroidered panel in hues of red, plus deep green, and it comes with a deep green colored, embroidered trousers.